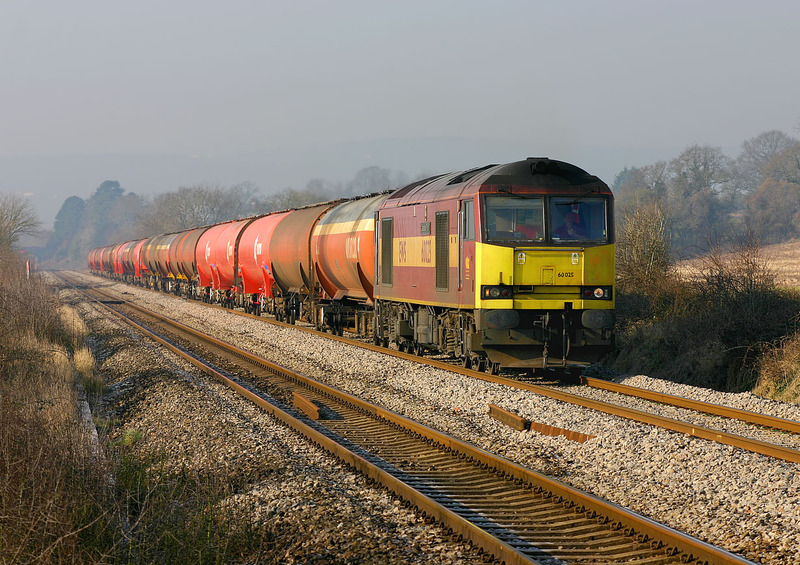 60025 Caledonian Paper passes Broken Cross (between Lydney and Gloucester) with the 6B13 05:10 Robeston to Westerleigh Murco oil tanks on 18 February 2008. Note the crude patch painting of the yellow front end, which certainly needs some attention. Luckily the sun is still just glancing across the front end, but the lighting is not as good as when 60071 passed a little earlier, especially as the frost has now disappeared from the ballast.